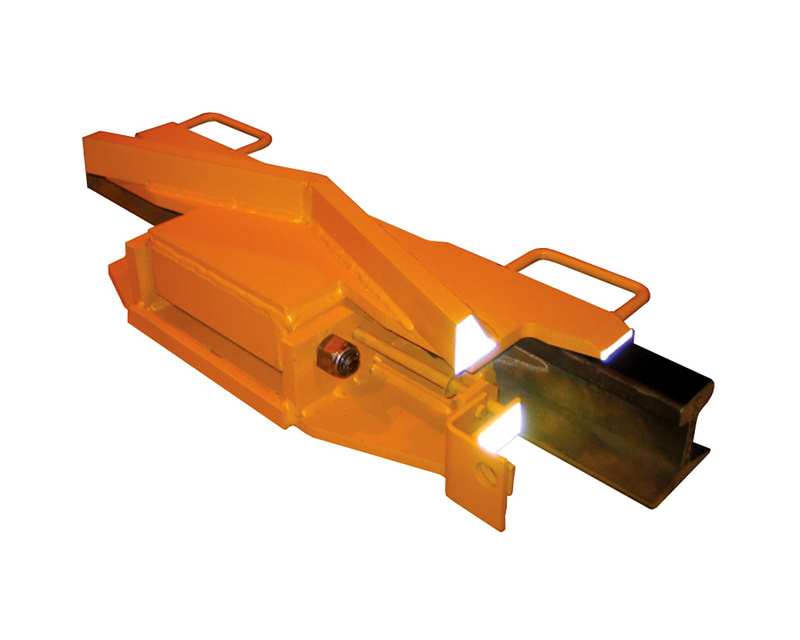 Nolan manufactures two sizes of hinged derails for use in mines. The HDM-60 and the HDM-85 are fabricated from tough carbon steel. Two-way design allows protection from approaching or retreating equipment. Low-profile design keeps the derail just 2-5/8” above the top of the rail. Innovative design bolts to an existing joint/splice bar bolt holes. Unit is hinged for easy use and performance. Ergonomic handle allows easier, more secure grip when placing derail on or off the rail head. Reflective material on the ends of the derail block adds safety by improving visibility of the derail.